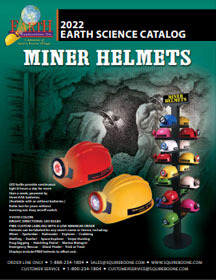 Squire Boone Village began with the handmade products from our sister company, Squire Boone Caverns. 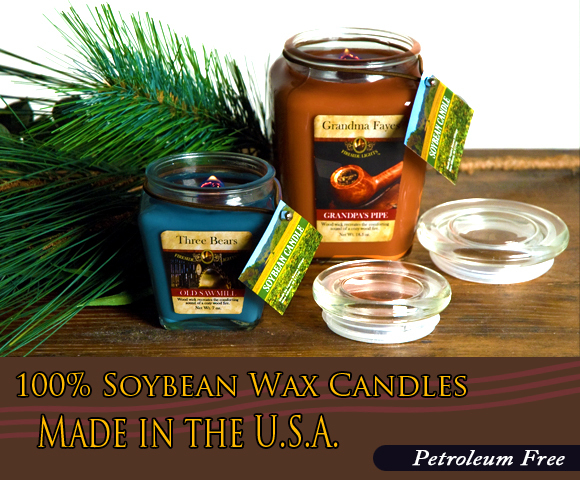 Almost 40 years later, the Handmade by Squire Boone Village line is still produced the old-fashioned way. In 2007 Squire Boone Village acquired Bloom Brothers and its remaining inventory, adding a wonderful line of Indian Replicas to the already vast product list. 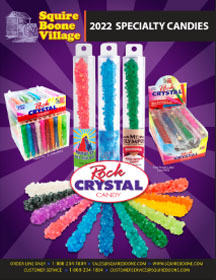 Squire Boone Village is a manufacturer of nostalgic and "fun for kids" candies, including old fashioned Rock Crystal Candy which we have been making in Southern Indiana since 1983. All our Candies are gluten free. 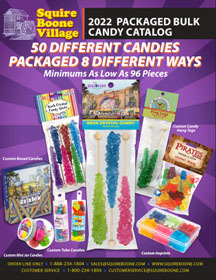 Squire Boone Village is a wholesale packager of Bulk Candy. We have over 60 different Candies that can be packaged in 11 different ways. All our Candies are gluten free. 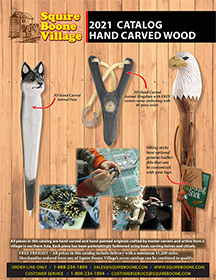 Squre Boone Village purchases hand-carved and hand-painted original pieces made from Catalpa and Pine woods; providing a livelihood for more than 500 carvers, artists and their families in a small village in the northern part of China. 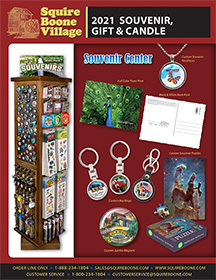 Squire Boone Village provides a wonderful line of products for the average souvenir shop. Gifts ranging from the majestic to the quirky; we have something for everyone. Squire Boone Village is still very proud of its roots, teaching young students about geology through developing products that get them interested in learning more about rocks, minerals, crystals and fossils. 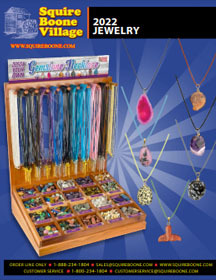 The transition from Earth Science products to Jewelry was a natural one since most items of adornment are made from gems, minerals, crystals and precious metals found in the Earth.